The world of film criticism - if not the entirety of cinema - lost of one of its greatest friends last week with the passing of Roger Ebert at the age of 70. Like pretty much anyone who writes about film, Joe Gastineau and I admired and respected Ebert's wit, insight and passion as a film reviewer and his consummate skill as a writer. We felt that we should pay a modest tribute to him. 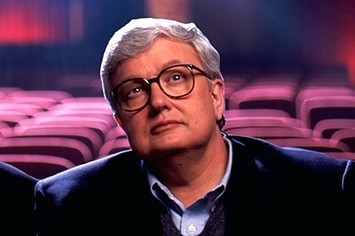 In this episode of Shot/Reverse Shot we discuss what Ebert meant to film criticism, what he meant to us personally, and try to gets to grips with his awe-inspiring body of work. On a personal note, I owe pretty much any skill I have as a reviewer to reading Mr. Ebert's work over the years, both in terms of learning about films and how to write about films, and found his grace and strength in the face of the illness which robbed him of his voice genuinely inspiring. More than that, though, his love of cinema and the way he acted not just as an arbiter of taste but as an advocate for films he loved, regardless of style, genre or budget, made him someone I respected greatly and aspired to be. I never met the man, but his brilliant writing and boundless enthusiasm certainly had an incalculable influence on my own style and attitude towards cinema. I'm certain this is the case for most people who loved film and loved Ebert, and I will miss the intelligence and vigour of his writing a great deal. Thank you, sir. See you at the movies.